Devaprayag in the Himalayas at a height of 1700 feet above sea level , where Alakananda and Bhagirathi merge to form the Ganges, is considered to be a pilgrimage center of great significance. It is held in reverence all over India, and is a resting point for pilgrims bound to (and from) Badrinath and is located at a distance of 70 km from Rishikesh enroute to Badrinath. There is an ancient temple established by Adi Sankaracharya here, enshrining Rama (Raghunathji); there are also shrines to Hanuman, Badrinathji, Kaala Bhairavar, and Shiva here. Brahma, Dasaratha and Rama are said to have prayed here. Periyalwar's verses state that Vishnu enshrined in Mathura, Salagramam, Dwaraka, Ayodhya and Sree Vaikuntam is the same as the one (Purushottaman) enshrined in Tirukkandam or Kadinagar. Devaprayag is considered to be Tirukkandam or Kadinagar. Theertham - Mangala Theertham, Ganges. Located en route Badrinath from Haridwar(about 58 miles from here). All are located en route to Badrinath. The Moolavar of this kshetram is Neelamega Perumal. He is also called with the name "Purushothaman". He is giving his seva in Nindra thirukkolam facing his Thriumugam towards east direction. Prathyaksham for Bharadwaja Maharishi. The First Divyadesam as one travels from Haridwar to Badrinath is Devaprayag. 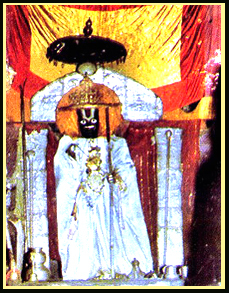 This Kshetram is also called as "Thirukkandam" and also as "Kadi Nagar". It lies about 45 miles away from Rishikesh to Badrinath and about 1700 feet above the sea level.